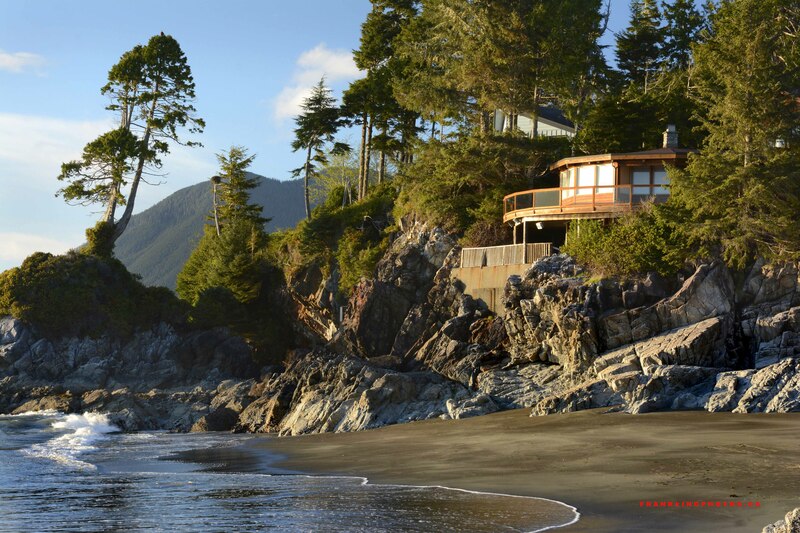 How would you like to live here, on the glorious west coast of Vancouver Island? Adjectives like “stunning” barely begin to describe the experience — as long as you’re willing to live in a tiny community almost two hours’ drive from decent shopping, a movie theatre, Starbucks or Tim Horton’s. And you better like rain. Lots and lots of rain. 🙂 Not a bad trade-off, eh? Nikon D7100, tripod, polarizing filter. I think I could used to living there quite easily (even without Starbucks 😉 ). Beautiful!! That’s the ultimate room with a view. What a place to live in fine weather, but I guess it might feel rather dangerous when a storm is raging. Great image! Really shows how side light can bring out the best in a landscape. Oh you make me want to be there! We just came back from Tofino today. Such a lovely place, and I believe we visited Tonquin beach one evening as well. You have captured the atmosphere very well! love your work Frank thanks for sharing !